For the newbie Internet business entrepreneur, here are the 10 most powerful unwritten rules that may well prevent you from ‘skidding into the ditch’. Make a point of reading through them monthly and remain focused on the road ahead! 1. 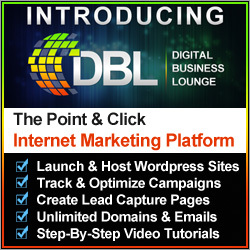 First and foremost, lets look at the advantages of creating and building an online income. Our place of work is open for business 24/7 so we can work when we want and for as long as we want. Many of our regular duties can be run on auto-pilot leaving us with more time for family, social and leisure activities. This situation offers a less stressful working environment, and to a certain extent we are in control of our own rewards. However, it is important to remember that there are few ‘Get-Rich-Quick’ schemes on the Internet. Look upon it in much the same way as you would if you were creating an offline business, which, in order to be sucessful, requires commitment and a positive attitude right from the offset, with scant reward in the early days. 2. Whilst it is important to have your mindset focused on a full-time successful online business, it is useful, especially early in your Internet career, as part of the learning curve, to try out a few programs in your spare time. Get the feel of the Internet marketing arena and at the same time learn a little about HTML, Scripts, creating attractive images and even building your first website! This can all be achieved as a ‘spare time’ sctivity. Don’t sack your boss till you have the confidence in your complete ability to earn regular income. There may be a lot to learn but, trust me, if you’re focused, it will be worth the effort. 3. I tend to not get involved in ‘get paid to read email’ sites, or in fact any website telling you that your money will be doubled or trebled in a matter of days, or you will become rich overnight. A part of our learning curve, and chasing the money, can cause us to try these out. Trying is not good enough, commit for the long term and build a long term sustainable online business from home or wherever there is an internet connection. It’s not difficult to find bona fide traders on the Internet. Look for offline contact points. An address or telephone number is a good sign they are genuine. Another good test is to send them an email before you sign up to see how efficiently they reply. Avoid the ‘Get-Rich-Quick’ schemes. They don’t work! 4. 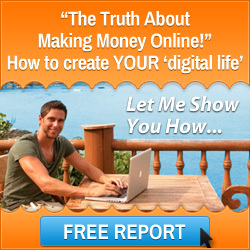 Imagine you discovered a method of earning huge amounts of money on the Internet. Would you then offer to tell everyone about your ‘secret formula’? I don’t think so! You will no doubt come across those who will try to convince you they have found such a recipe, and no doubt offer to share it with you. Believe me it will cost you, not just financially but in wasted time too. Do your own market research and in particular when you see the word ‘Secrets’, or see boasts of huge income, look into it more closely! 5. Similarly, ask yourself this.. would a guy who says he’s earning several million dollars a year, bother to write and market an eBook describing how he did it? I think not! Go with your first instincs, they are usually quite accurate! 6. Look into to images of earnings checks or bank statements purportedly demonstrating how much the account-holder has earned. It is a simple task to create whatever you want with a little creativity. Always be aware of the income disclaimer. As a part of your research also check out letters of recommendation or testimonials. 7. Think positive and stay focused at all times. 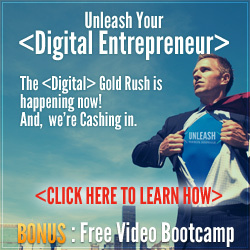 If you were to take a close look at all the successful Internet marketers, who have made a great deal of money from their endeavours, you would find they have one thing in common! Dedication!! They are prepared to work hard and long to achieve their goals. They do not lose heart if everything doesnt come together today, and they are rarely influenced by the ‘quick buck’. I cannot stress this point often enough to you. 8. Be organised! Keep all your business activities logged and documents filed in the correct folders. Check your email accounts at least daily and file the important ones. Dont be frightened to name a file or folder with a long name (within reason). You should be able to access any file, folder, software or email within 30 seconds. So much time can be saved with a tidy desktop! 9. Stick to the basic etiquette of Internet Marketing. Don’t be tempted to send out high volume unsolicited email (spam). It won’t be worth the hassle believe me! Read the Terms and conditions section when you join a program and if you decide to sign up.. then adhere to those terms. 10. 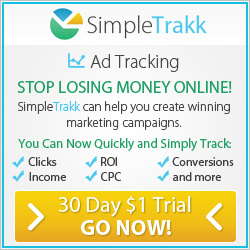 Avoid leaving large amounts of funding in any online marketing or promotion website! Most websites have a strict policy on spamming and if you are ever accused (rightly or wrongly) of sending unsolicited emails, you are likely to have your account closed, which could result in you losing your funding too! So that’s it! Not a set of rules… more a collection of simple guidelines which, if applied, will serve to make your Internet Marketing experience a safer and more enjoyable journey towards achieving your goals! Maybe, you are someone who falls into the baby boomer category looking to improve your income, or you are wanting to escape the rat race. Whatever your reason for being here I have a question for you! Are you serious about making a change of lifetsyle or are you just surfing the net and not yet ready to make a commitment to building a business solution? If you are serious about making a change in your life, are prepared to do whatever it takes to make it happen, you are coachable and committed, then click the banner below and get an application pack from my internet business mentors who have helped me succeed in my business. They can do the same for you. So forget looking for anymore get rich quick programs on the internet and invest in yourself, your education, your future and your business. Would you like to create a laptop lifestyle for you and your family? CLICK THE BANNER AND APPLY TODAY!